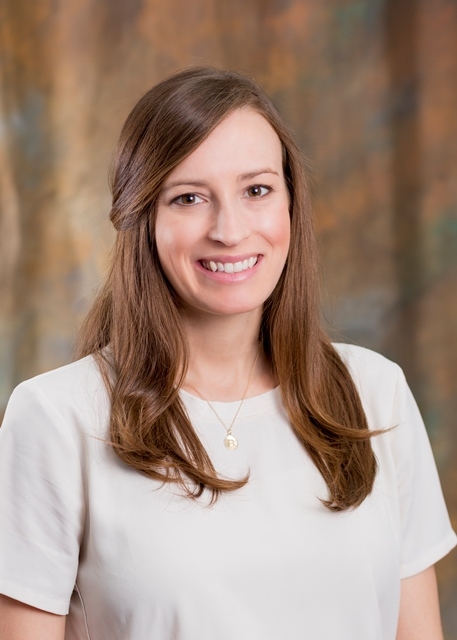 Dr. Lauren Wood LaRose '05, a Child and Adolescent Psychiatrist who is also board certified in Adult Psychiatry, returned to Sacred Heart this spring to offer career advice to Upper School students during a Round Table session. I look back on my time at Sacred Heart as one of the happiest times in my life, especially high school. It's so unique that I have been friends with the same people for over 25 years now, and many of them are like sisters to me. I truly believe I'd be a different person today if I had gone to school somewhere else. I have so many great memories from my 13 years at Sacred Heart- too many to count! I am a Child and Adolescent Psychiatrist and also board certified in Adult Psychiatry. I completed medical school, Adult Psychiatry Residency training program, and the Child and Adolescent Psychiatry fellowship program all at LSU in New Orleans. I will be joining a private practice uptown Atlas Psychiatry in September seeing a combination of children and young adults. The most common diagnoses that I see are ADHD, anxiety, depression, and behavioral problems. I also work with parents to strengthen their parenting practices and with families on conflict resolution. I will be working in tandem with a Child Psychologist who performs psychological testing (such as IQ testing, diagnostic testing, and autism assessments) and a Child and Adolescent therapist. How did your Sacred Heart education help get you where you are professionally? What about the Sacred Heart experience uniquely influenced who you are today? Sacred Heart helped instill in me a strong work ethic that is absolutely necessary to complete pre-medical and medical training. I believe that an all-girls education built up my self-confidence in my academic abilities. Also, the focus on service at Sacred Heart helped to develop me into a well-rounded adult and definitely influenced my choice in career. I am so fortunate to have gone to a school that fosters lifelong friendships—I am still very close friends with many of my friends from Sacred Heart, which I have learned is very rare elsewhere! I think my favorite Sacred Heart memory is the prank that we pulled on Mrs. Brechtel our senior year. We took all of the furniture out of her office and rearranged it in the hallway. I'm sure she wasn't too happy about it, but she still laughed about it. Also, we were the first class to do imitations of the Middle and Upper School teachers for our senior play. It was hilarious.